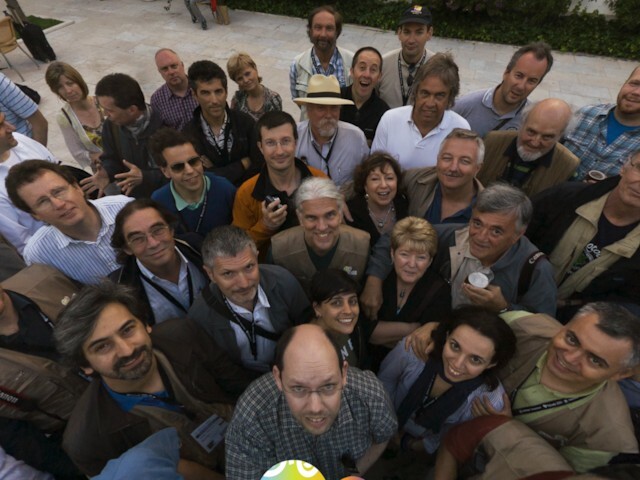 This panorama shows one of the group shots at the Interational Panoramic Photography Festival in Palmela. It was taken with a pole in the yard of Palmela Castle. A reprojected version of a spherical panorama. Powell Point at the Grand Canyon. This statue is located near the Cathedral of Messina. The cathedral has been built in the 12th century. Visiting Steampunk HQ in Oamaru. This image shows a reprojected image of the Sesimbra Castle Church. The projection is transverse mercator. This central place in the heart ot Rotterdam is 12.250 square meters in size and has been opened to the public in 1996. The illumination consists of very large street lights, that even can be transformed. I shot the panorama using a Walimex 7.5mm fish eye lens mounted on a Sony ILCE-QX1. I took four images - one in each cardinal direction - on a extended monopod construction. The nadir was shot additionally and retouched afterwards. This image shows the garden at Gartenpalais Liechtenstein in Vienna. At a recent visit to Munich I also exited the subway at the station Messestadt West. This image shows a reprojected version of this panorama. It is the oldest shopping mall of The Netherlands. Great shot! Already brings back happy memories of Palmela. Thanks for sharing.